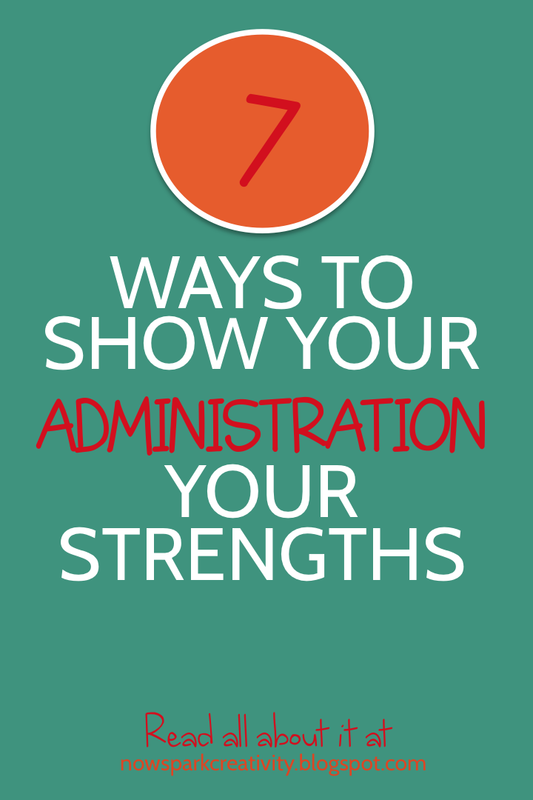 Do you worry about how your administration is judging you? Wonder how they can possibly understand all the work you are putting into your classroom by swinging through for thirty minutes once in a blue moon? Can't say I blame you. It's pretty hard to show all the amazing things you're doing in one random half an hour. That's why I don't think you should wait for your observation to start knocking their socks off with your pure teacherly awesomeness. Stay with me on this. In my first year of teaching I worked with the best department chair I've ever had. She invited me to lunch every month or two and asked how she could support me. HOW SHE COULD SUPPORT ME! It was amazing. It was awesome. We ate granola and yogurt together and talked about my favorite things going on in my classroom. She tried to find budget for all my ideas. She gave me suggestions for advancing my career. A decade later, I still smile at the thought of her administrative perfection. Woe is me, I have had three department chairs since that presented far more challenges. However, after working with them all in three different jobs, I've learned some important things about how to work effectively with your administration. In particular, how to show them your strengths and be proactive about impressing them instead of waiting for nerve-wracking observations to try to make a good impression. Why wait until your first teacher observation to show your administration what's going in your classroom? When my students are inviting guests to a classroom event, I often suggest an administrator or two for the list. Or if we're about to do something I've worked really hard on, I send an invitation of my own. I've had my academic dean and department chair attend poetry jams and project showcases, and I always felt good knowing I was putting my best foot forward. There are so many ways to get your feet wet in the world of teacher publication. I started with my local school association newsletter, and moved on to publish with Classroom Notes Plus, Read Write Think, English Journal, Reading Today and Independent School Magazine. I just submitted an article to We Are Teachers today. When you receive recognition from an outside source, it helps your credibility on the inside. You can send along a link to your department chair or dean to let them know what you've been up to, or if you think they read the publication you published with, you can just wait for the fun surprise of having them find it. Even if you are relatively new to teaching, chances are you've come up with something that is working great in your classroom. Whether it's a reading program, series of grammar lessons, interactive notebook or something else, apply to present it at your state's annual Conference for Teachers of English. Or go nuts and apply to present it at the National Council of Teachers of English annual conference. It's ALWAYS great to attend conferences, and if you present while you're there, you earn respect from your administration, improve your C.V. , and get the benefits of attendance as well. After attending the Exeter Humanities Institute one summer to learn all about the Harkness method of discussion, I wanted to share what I had learned with other faculty at my school. I started a "Harkness Breakfast Club." Once a month interested teachers would get together to eat and ask me questions about how to incorporate Harkness into their classrooms. I liked sharing a strategy I loved, and it didn't hurt my public profile at the school either. It was only my second year of teaching, but many experienced teachers and administrators came to talk. It was great for everyone. Think about your own interests and strengths. Is there something you could share with a larger group of teachers? If you have a special interest in using video (or podcasting, or bell ringers, or independent projects, etc.) in the classroom, could you create a group that chats regularly about this theme? When administrators drop by your classroom, what will they see? Awesome displays of student work, an inviting outside reading library, fun posters, engaging bulletin boards? Or cracked paint and a few plants struggling to survive? I'm a pretty visual person, and having a classroom with great ambiance REALLY matters to me. But I also think it matters to your reputation at your school. Display the wonderful things you and your students have been doing. When your department chair looks up during a meeting with you or an observation of you, they should see examples of all the fabulous work you have been doing to engage students. 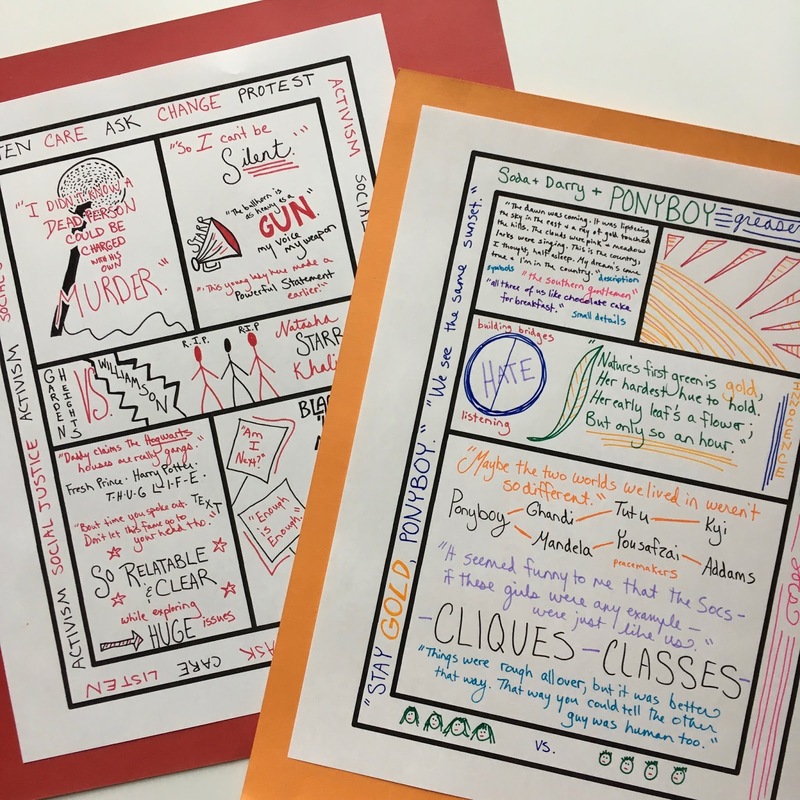 You don't have to create a themed Pinterest classroom, just make it reflect your originality and hard work. This strategy is great for your students and for helping your administration notice you. Consider how to move your class around the school. Doing a play performance? Maybe you could do it in the theater or the cafeteria while its empty. Working on speeches? Take your students outside and have them orate to the trees. Choosing books for your outside reading program? Head down the hall to the library (preschedule with the librarian, of course!). There are a million ways to get out of your classroom and add an element of freshness for your students. 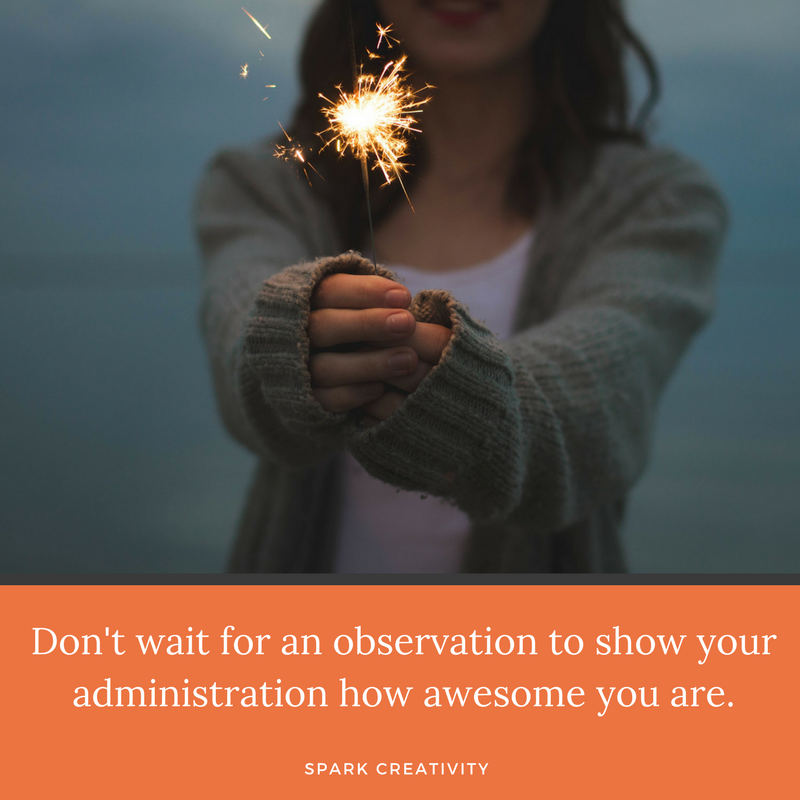 And if you're out there doing something cool, your administration is likely to notice. Everyone struggles with what to do on observation day. So you're teaching the fifth in a sequence of grammar lessons, discussing chapter nine of a novel, reviewing before standardized testing... there's always a way to spice it up and show off your creative side. To try to help, I've put together a packet of ten creative lessons you can apply to many different novels and units. You can download it in one minute by using the form just below. So remember, don't wait for an observation to show your administration just how awesome you are. Take your career to the next level by trying one or all of these seven strategies. 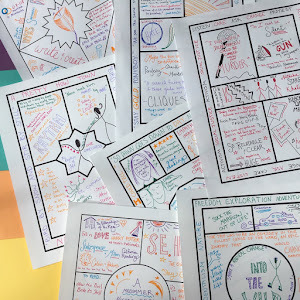 And when the big day does come, if you're looking for a fun creative project to inspire your students in their critical thinking, why not try one pagers? Get your free set of four templates with complete directions when you sign up below!